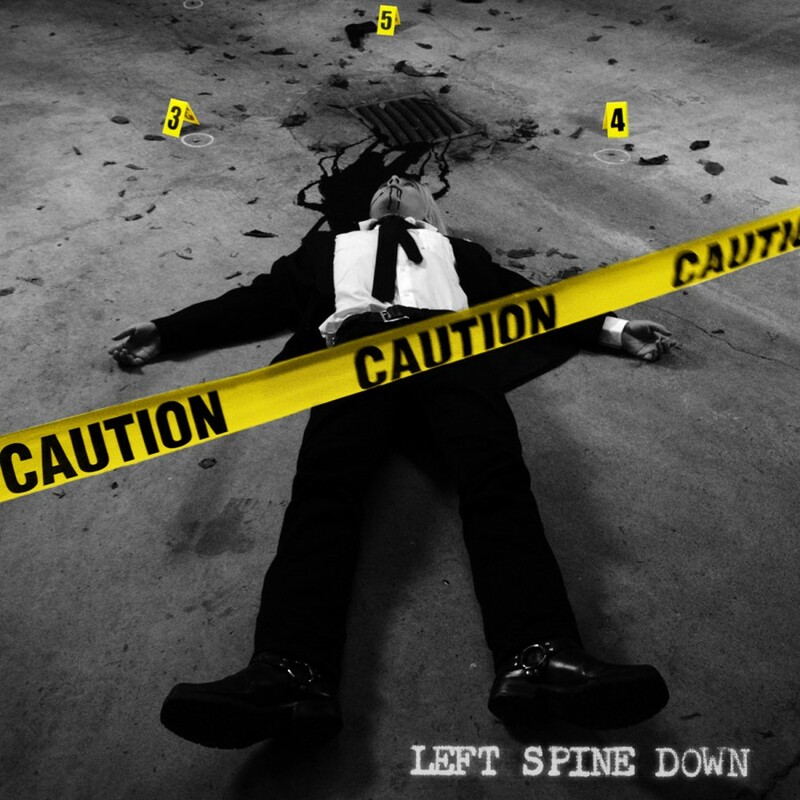 Vancouver, Canada's Left Spine Down blends elements of industrial, punk, and alternative rock into a sound that is catchy yet abrasive, melodic yet fist-pumping, with detailed electronica-style programming and an "eff you" punk attitude. Formed by keyboardist Jeremy Inkel of industrial legend Front Line Assembly with frontman Kaine Delay, the band has no shortage of firepower both on stage and in the studio. After building a massive following with their early releases and string of high profile tours, work began on a new studio album. As 2010 came to a close, Left Spine Down hunkered down to spend the winter in the studio working with legendary industrial and alternative rock producer Dave "Rave" Ogilvie (Skinny Puppy, Nine Inch Nails, Marilyn Manson). Out of these sessions a new 10-track album, Caution, emerged.